For a stylish watch with a brand know for quality, Seiko watches will make a perfect gift. You can't go wrong with Sartego style. Quality watches at low prices. The sophisticated design of Mido and its precise Swiss Movement is what makes it the perfect watch. Internationally Recognized & Well Respected within the Sportive World. Affordable Yet Superb in Style & Workmanship, MOUNTROYAL Watches Make an Excellent Addition to Your Collection. Find the perfect watch from our fine selection of Ladies Watches under $20. Find the perfect watch from our fine selection of Citizen watches. The sophisticated design of Elgin is what makes it the perfect watch. In classic and contemporary styles, Bulova watches are trusted for accuracy. 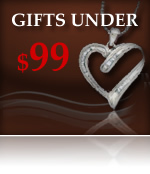 Wittnauer offer classic designs and superb craftsmanship. Pulsar watches feature casual and dressy selections at affordable prices. 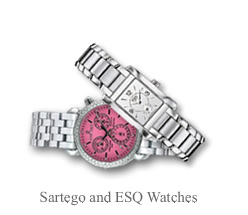 Find the perfect watch from our fine selection of ESQ watches. Copyright � 1996 - 2011, Oro King Inc. All Rights Reserved.